Scott Pruitt likes protein bars. 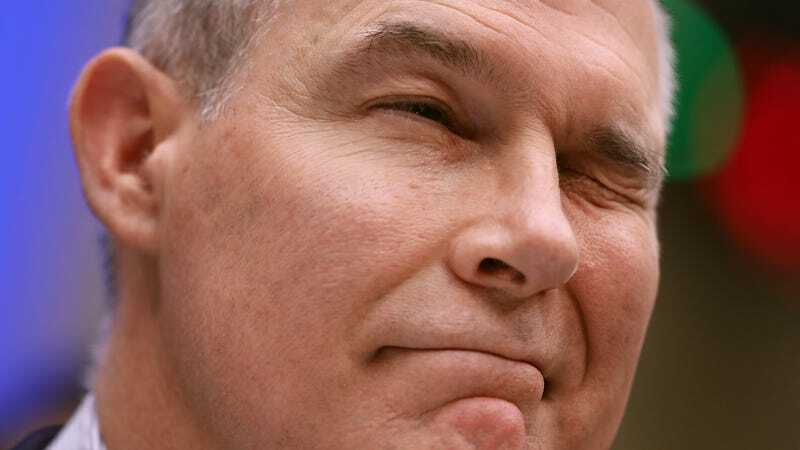 That’s one of a few little nuggets we learned today from this report in The Daily Beast, which alleges that the embattled EPA administrator regularly sends staffers out to pick up snacks—that is, when they weren’t trying to help his wife get an in at Chik-Fil-A, picking up used Trump mattresses, fetching dry cleaning, or nabbing bottles of Ritz Carlton hand lotion. Only the best while you’re poisoning the planet, one supposes. EPA will not be commenting on anonymous sources who are working to distract Americans from Administrator Pruitt’s accomplishments on regulatory certainty and environmental stewardship.